Dennis Henson is President of Vanguard Marketing and Investments, and founder of Arlington Real Estate Association of Investors(AREA), one of the largest real estate groups on Meetup.com in the country! He is the author of “Becoming Wealthy in Real Estate,” an Investor’s Guide to Riches. He is an expert at controlling property for profit without ever taking title along with many other creative techniques. 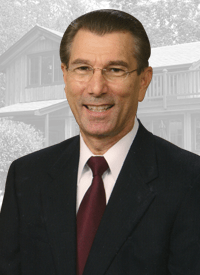 Dennis has over 38 years in real estate investing, and has completed numerous,and profitable real estate transactions throughout the Southern United States. Dennis specializes in single family investing, and is experienced in all aspects of real estate—options, rent to own, installment land contracts, contracts for deeds, pre-foreclosure, foreclosure, bankruptcy, probate, contracts for purchase and sales, subject to, wrap around mortgages, seller carry back notes, land trusts, leases, and creative financing,just to name a few. As a mentor and teacher, Dennis has helped hundreds of investors off to the right start in this business. He also works with many experienced investors helping them take their business to the next level. Many examples of his teachings can be seen on his training website at http://www.dennisjhenson.com.